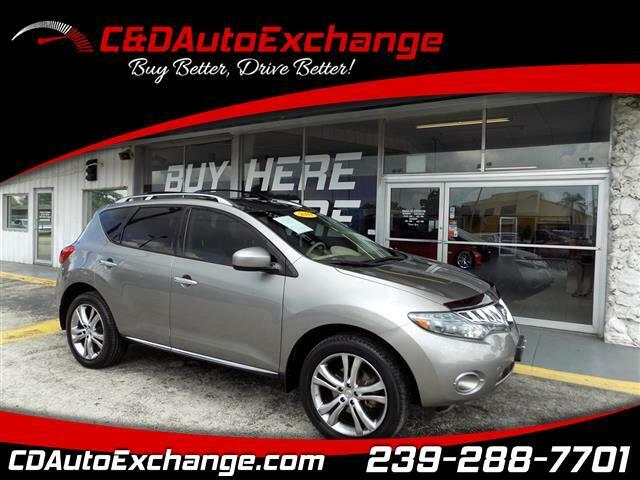 Redesigned for 2009, the Nissan Murano midsize crossover SUV matches its elegantly sculpted exterior with a highly refined interior. Stylish cues like stacked LED taillamps and optional 20-inch wheels are designed to turn heads while inside, Murano's five-passenger interior beckons with a long list of comfort and convenience features ranging from push-button ignition to dual-zone climate control. Powered by a 3.5L V6 engine that unleashes 265 hp and 248 lb-ft of torque, the Nissan Murano is equipped with a continuously variable transmission sending power to either the front or all four wheels. Fuel economy estimates are EPA-rated at 18 mpg city and 23 mpg hwy. Nissan Murano safety features include antilock disc brakes with brake assist, traction control, dynamic control, active front head restraints, dual-stage front air bags with seat belt sensors and occupant-classification sensor, driver- and front-passenger seat-mounted side-impact air bags and roof-mounted curtain supplemental air bags for side-impact and rollover head protection for front- and rear-seat. So much more to add but it is better you experience the smooth ride to be absolutely sure this is the one. We offer you an extensive BHPH program that will have you jumping up and down with disbelief. Drive while you fix your credit and buy with confidence.